Anchor Hari Sreenivasan presents a summary of the day's national and international news in a 30-minute program from the Tisch WNET Studios at Lincoln Center in New York. Each weekend broadcast contains original stories of national interest ranging from education and health care to the economy and finance. 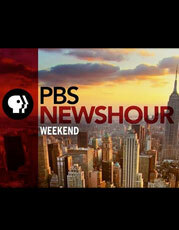 The "PBS NewsHour Weekend" team also works with local stations to produce stories that may appeal to a wider, national audience.